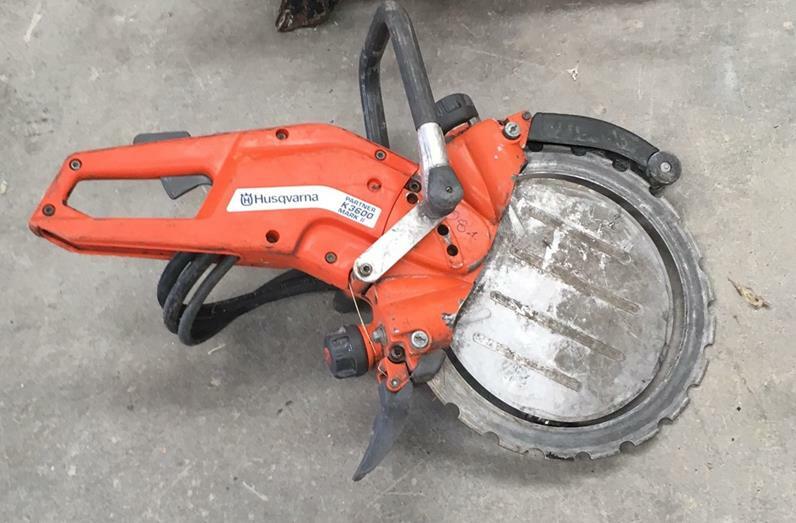 Husqvarna HF Wallsaw and Wire Saw. NEW. Wire Saw pulley system. NEW. 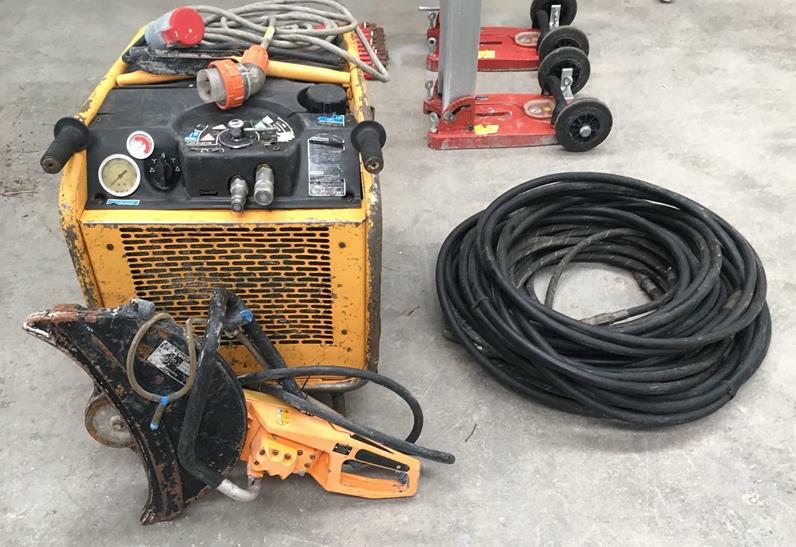 Vopen Hydraulic wire saw and power pack. This much sought after model is available for immediate delivery at a saving of $17000+gst from new price. Just 345 (approx) hrs. Call 1300 109 108 for full details. Complete with 3 phase cable and 15m hydraulic Hoses. 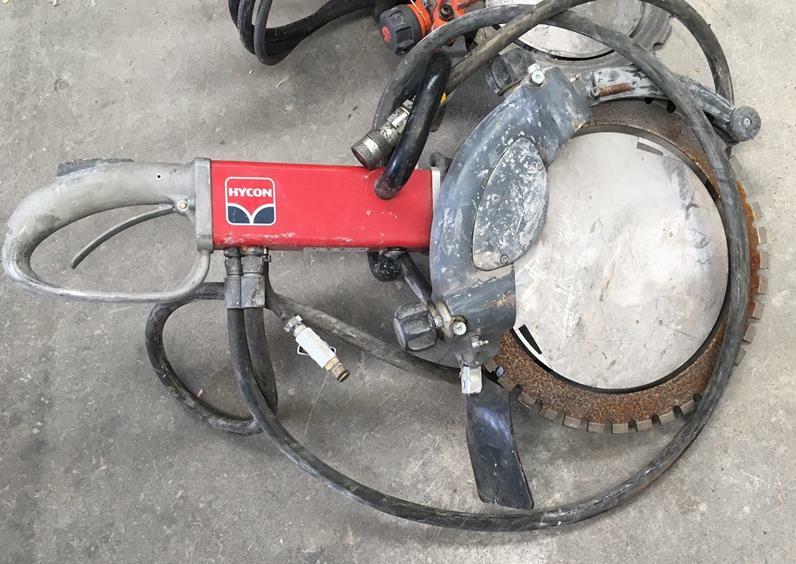 This saw is just on its second blade.............Super buy @ $2350+gst, complete with a new blade. Genuinely, STILL ON ITS FIRST BLADE.......and that's almost new. 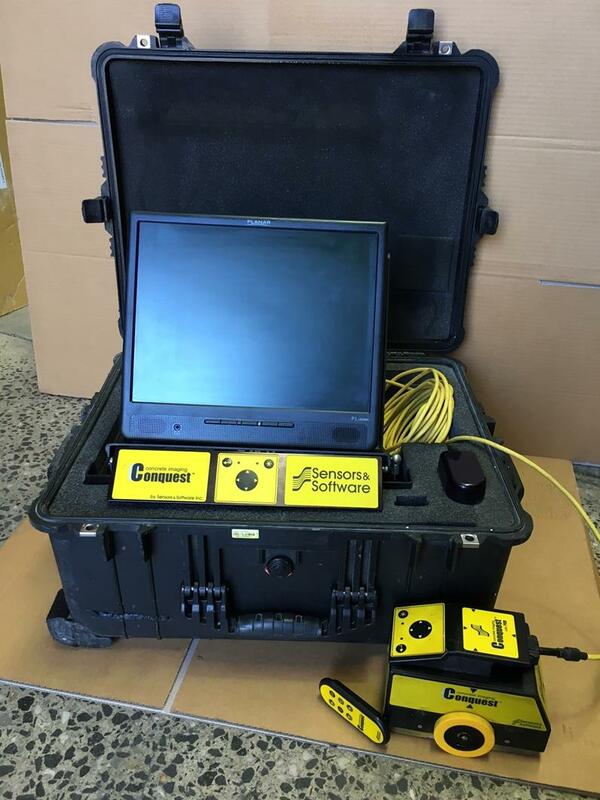 THIS IS YOUR CHANCE TO GET INTO SCANNING.....Used Conquest GPR system complete with training and 24.7.365 support at less than half new price. Comes with everything you need to get started in the Scanning business, or for expansion of your scanning fleet. 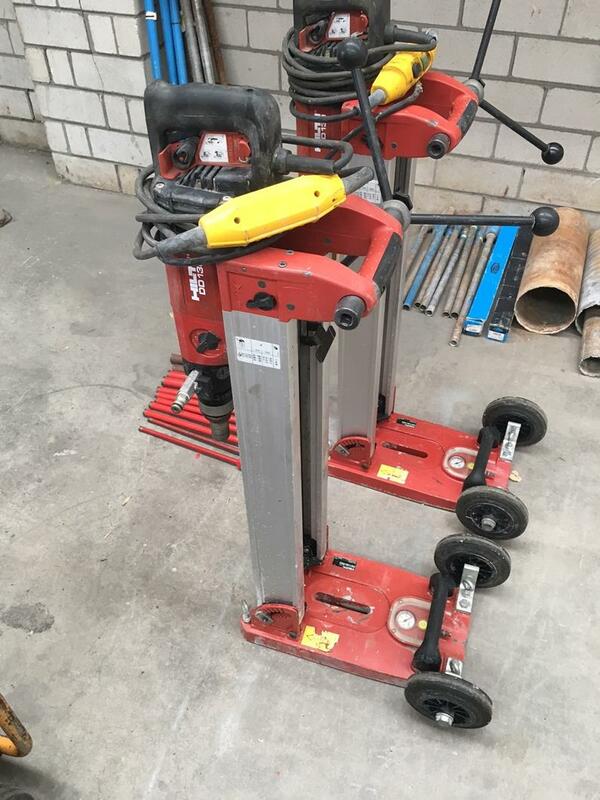 We have 2 only HILTI DD130 drill motors with stands, complete, to clear. Super condition. First order gets a bonus $1400 of Hilti core bits. HUSQVARNA WS440HF wallsaw and CS10 wiresaw. 230 hrs only on wallsaw and 110 hrs on wiresaw. Comes complete with 800 and1200mm guards plus 800mm Flushcut guard. 1.2, 2.0 and 2.2m tracks. Various pulleys and brackets, ready to go sawing. 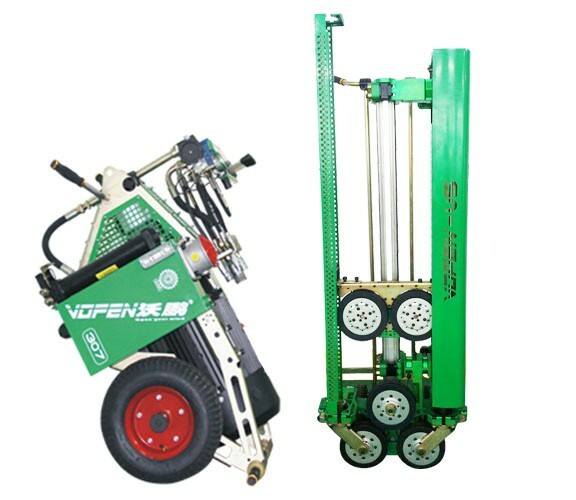 A flexible wall and wire saw in a single system for both small and large jobs. With the WS 440 HF wall saw you can change the blade’s direction of rotation, and saw on both sides of the track. The CS 10 wire saw enables dry cuts through thick concrete – without any water. 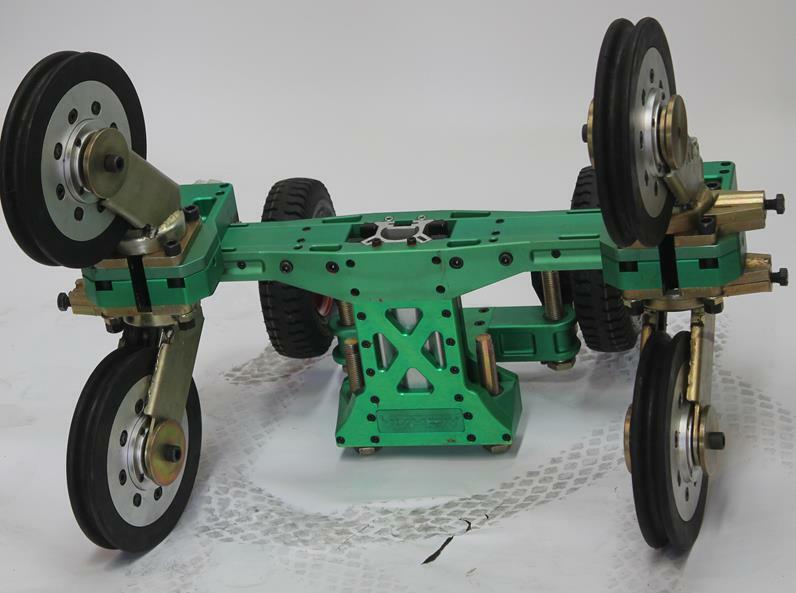 2 stroke core drilling machine. 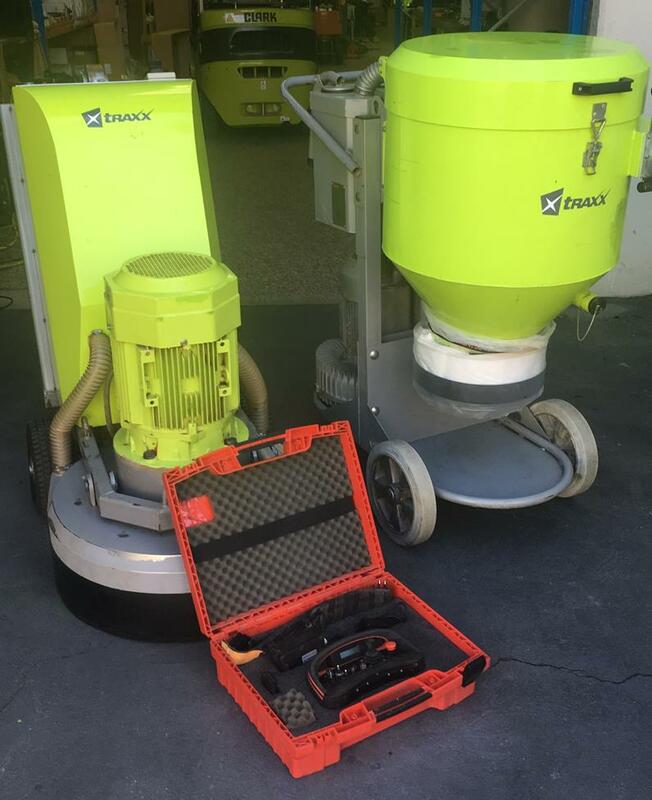 The kit for the true Pro Grinding and polishing contractor. 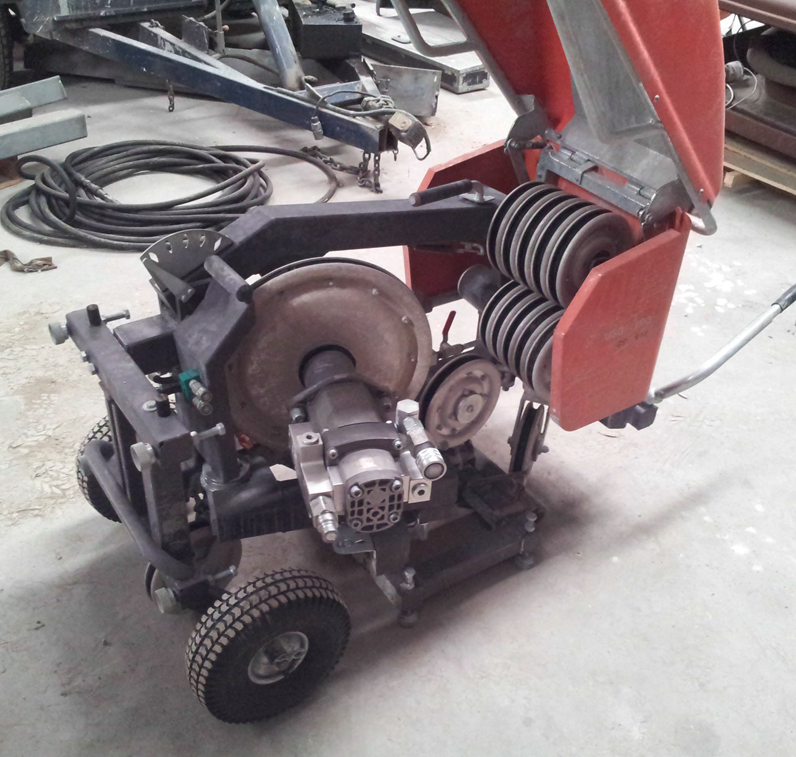 1 x SC700C remote control grinder. 145 hrs only. Totally detailed. 1 x SD6000 3 phase vacuum. 135 hrs. New Filters. Longopac system fitted standard. 1 x DS6000 dust seperator with Longopac system. 3 phase leads and diamond pack. Superb condition. Just 75 hrs on the clock. 48" blade cpacity, giving 500mm plus, depth of cut. full set of guards. Inline Kubota 74HP engine with right angle gear box. Call 1300 109 108 and ask for more pictures and a video of the saw running. MAKE AN OFFER. YOU may be surprised. 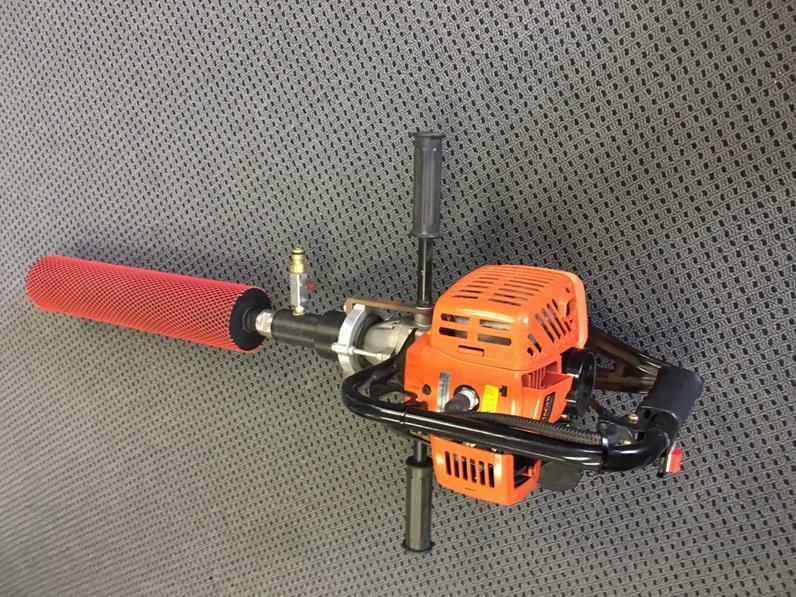 We have some 15+ used but quality drill stands to clear from $190 -$490+gst. Call for pics and details. As New. Just 25 hrs approximately. Comes with all hoses and spares and accessories. Also priced to sell at just $19990+gst. A superbly made product for the wire saw enthusiasts. Drill stand wheeled, base mounted. GERMAN Designed Vopen is setting the pace in wire and wall saws. 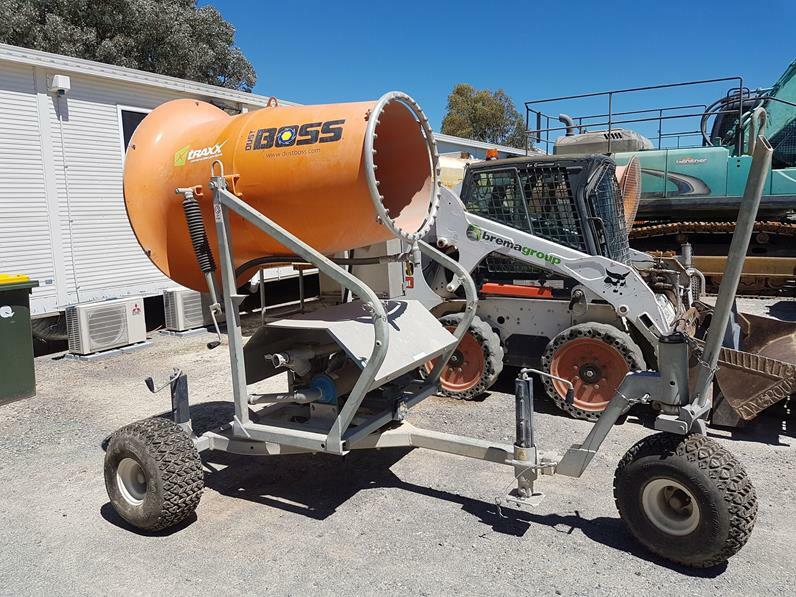 THIS NEW machine is available for just $25000+gst, complete. 3 phase electric, 32kw, dual motor drive. Comes complete with all hoses and fittings of course........40m of premium diamond wire. 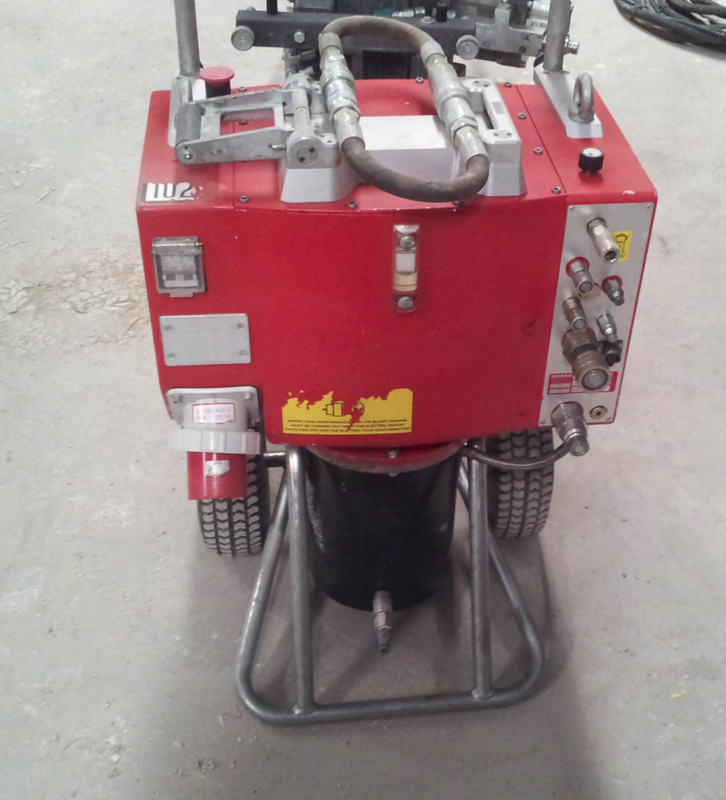 Much sought after PP455E 3 phase hydraulic power pack. complete with flow control valve for powering hand held tools. Priced to sell at $9900+gst. Comes complete with 14" masonry blade. Call 1300 109 108 to secure.